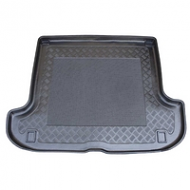 HYUNDAI TERRACAN BOOT LINERS are made from a hard wearing plastic, comes with rubber anti slip centers. Lipped edge follows the contour of the Hyundai terracan boot. Liners are in stock.